Adak is located at the western extremity of the Aleutian Island chain. 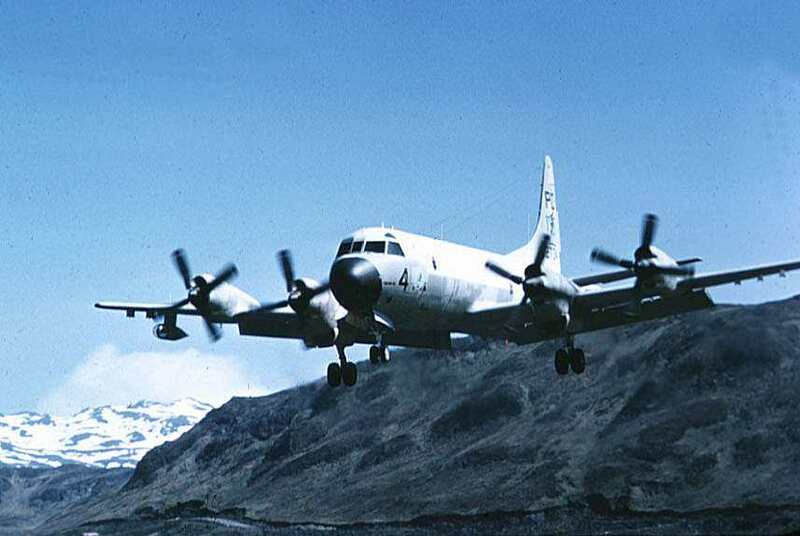 Patrol Squadron Fifty operated a detachment of P3 Orions there, which flew missions in the Bering Sea and to a greater extent to the ocean areas immediately east of the Kamchatka Peninsula, particularly due to the Soviet submarine base at Petropavlosk. 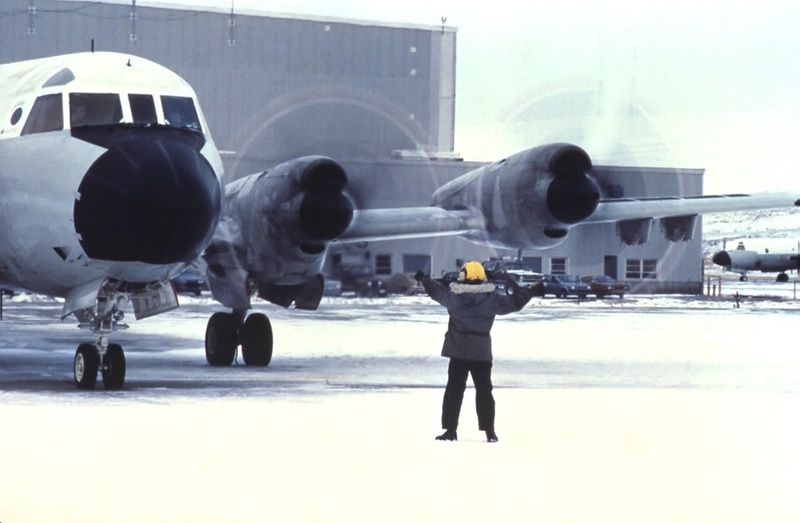 Operating from Adak, VP50 flew highly classified missions known as "PARPRO", which is an abbreviation for Peacetime Airborne Reconnaissance Program. These flights operated along the Kamchatka peninsula and were focused on Soviet Air Defense capabilities. LCDR Ditchey was, for a period of time, the Officer-in-Charge of the Squadron Detachment at Adak. Adak is a particularly challenging airfield for pilots, due to extreme weather and terrain, and pilots were specially trained and qualified before they could be stationed there. 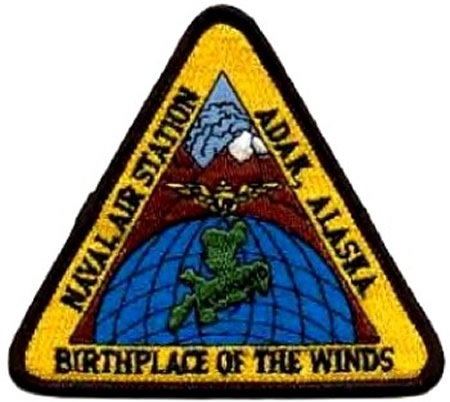 Typically, Patrol Squadron 50 had three or four aircraft operating to and from Adak. This P3 is on "short final" approach to the "cross runway" at Adak. This approach path was particularly challenging for pilots and required "hugging the ground" only a few feet above the downhill landing zone.